“Self-care” has become a familiar term in pop culture and is commonly promoted by Millennials through hashtags, personal blogging, and other media outlets. Therapists commonly talk to their clients about the importance of practicing self-care on a daily basis as a way to help with anxiety, depression, and other mental health concerns as well as a way to improve overall well-being. 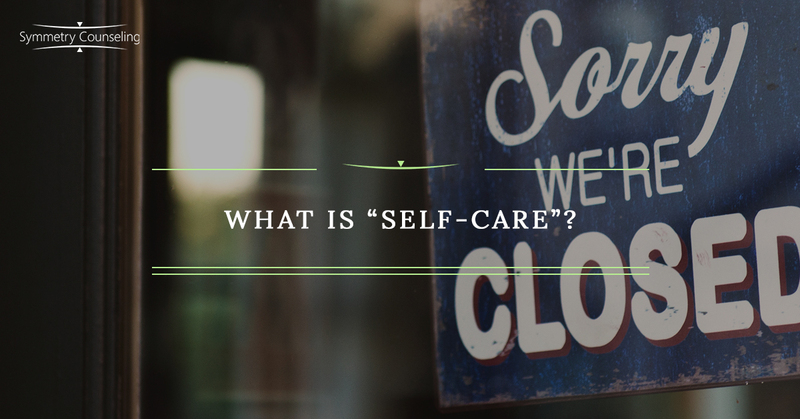 However, what may not be talked about as much is what self-care actually is and why it’s important. Self-care is any activity we do deliberately and intentionally to take care of our mental, emotional, and physical well-being. Self-care is another way of saying “to take care of oneself” in any capacity. Self-care helps promote better moods, decreased anxiety, as well as improved relationships and better self-worth. Self-care is a broad term, and it can easily mean something different depending on the person. There are basic kinds of self-care that are healthy for everyone, such as getting enough sleep, eating healthily, exercising, and spending time with loved ones. Self-care is not something that you do not enjoy doing. Self-care can be as minor as buying a latte you normally wouldn’t splurge on or taking a 15 minute walk on your lunch break while listening to music. It doesn’t have to break the bank or take a lot of time out of your busy day. Nor does it have to be specific to helping your anxiety or feelings of depression—though those can be additional benefits. The important part is that it is intentional and meant to be something that feels good or enjoyable to you. Many of us spend our days giving; whether it’s being a good employee, giving friends or family advice, supporting a partner through a difficult time, helping kids with homework, and so forth, many of us don’t often think of how much we give of ourselves to those around us, and how much it can affect our mental health. If you think of your capacity to give and receive like your own personal gas tank of energy and care, when we spend our time giving and only worrying about others, our gas tanks get lower and lower and lower. Self-care is meant to add gas to your tank, not increase feelings of anxiety, depression, or other unpleasant feelings. I will often ask my clients in individual or couples therapy, “What would add to your gas tank?” Whatever it is that adds to your tank, make sure you’re doing it as often as possible. Whether it’s making sure you have time to watch your favorite show, making a new recipe for dinner, or going on a run, make sure you’re allowing yourself time and energy on yourself. As a marriage and family therapist, one of the biggest hurdles I see when working with clients on self-care during therapy sessions is clients seeing self-care as selfish in nature. Many people see doing things for themselves solely for their own personal pleasure and well-being as self-centered. However, what I find myself constantly reminding clients is that when we are functioning at our best, which also means taking care of ourselves, we are also being the best partner, parent, friend, sibling, daughter or son, employee and so forth. When our physical and mental health is at its best, our moods are better, our stress levels and anxiety are lower, and our energy levels are higher. Self-care refuels our gas tank so we can continue to be the givers we want to be. A great way to start incorporating self-care into your schedule is to actually put it in your schedule or calendar. Ask a friend or partner to join you in an activity if you want someone to hold you accountable. I recommend to my clients that they carve out at least 15 minutes for themselves every day, whether it’s taking a walk on a lunch break, taking an extra long shower, or catching up on a show they’ve been missing. If you’re struggling with a work/life balance or finding ways to take care of yourself, it may be useful to connect with a therapist. Contact Symmetry Counseling to set up an appointment with one of our talented therapists at one of our two Chicago locations.